Welcome to the third edition of Out of this Universe, a monthly publication covering one of the many aspects of astronomy, including historical discoveries and personalities, current scientific research, telescopes and imaging, art and drwaing. The majority of data in these issues are from the scientists, institutions, professonial and amatuer astronomers, historians and artists who have photographed, studied, drawn or written about the topic under discussion, as well as interesting facts or fiction surrounding the astronomical wonders from around our stellar neighborhood and beyond the edges of our own galaxy. Our third installment is the first of a three part publication. The first looks to the world of space art in short biographies, from Verne to Schneeman, continuing on to the modern founder of the genre, Chesley Bonestell and includes many fine works from the artists and world of space art. 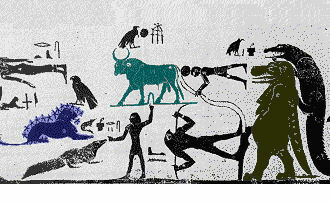 Part two continues after The Conquest of Space and looks at the art during the period 1952 to 1981. Part three concludes the series with a review of the art and artists of the pulp media era (c.1930-1950), finishing with a look at the modern day form and style of space art. I hope you enjoy the following and thank you for stopping in. 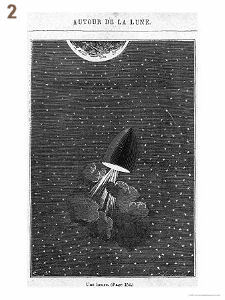 It has been one hundred and forty-four years since the publishing of Verne's From the Earth to the Moon  a period long enough for Space Art to have developed and carved its own niche within the larger field of art in general. 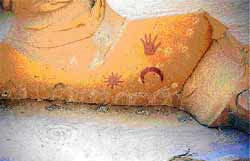 Its historical longevity is such that one can readily find written many excellent essays and studies regarding its inception, historical roots and developement, present day form and style, as well as biographies written about the lives and images of those to whom we memorialize as having been its creators. When researching for this publication, I found myself often taken back to that period of time between the 1950s and 1960s, an era often described using such terms as bomb shelters, atomic weapon tests, the baby boom, cars, fashion, TV, rock and roll, the missile crisis, rockets and the space race. Histoically speaking, it was during this period that space art and science merged and began to influence the mainstream of society, reflecting the challenges and tensions within the world of the 1950s and 1960s. Though many influences were at work upon the opinions, thinking and eventually, support of the public towards space travel, a common theme behind its development is the often heard statement, "I was hooked on space, astronomy and moon travel the moment I picked up a copy of that magazine and saw the picture of..."
As to my own efforts in this area, they are not borne of any particular influence or style, but result largely from the study of astronomy, a lifelong artistic ability ad libitum and a desire to enhance upon the the science renderings one often views at many institutions of science, like NASA, the ESO and others. Some are rendered with the physics of the science in mind and others, simply because they "appear" within the realm of possibility. One need only study and compare examples of such stellar objects as the massive M17 complex, NGC 2174, the Eight Burst Nebula or the Ant Nebula (Mz3), shown above, to understand that nature's own diversity is unbounded, rendering the cosmos in such immeasurable diversity of form that it seems impossible that we will ever be able to create the definitive image of the universe. 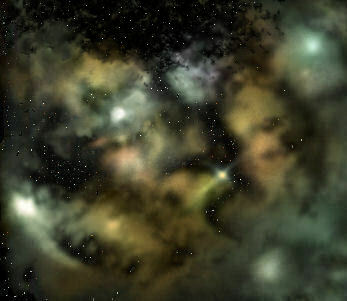 Above left is an image entitled Stellar Winds Clear a Solar Vista, created by the author in 2008. Images above right are courtesy the Hubble Space Telescope, NASA, Hubble Heritage Team, ESA, ESO, JPL, AURA, STScI. From art, everything unknown truly appears magnificent. Space or Astro Art is a relatively new branch within the genre and it gradually developed into several rather distinct styles with different agendas: one created for the world of science fiction and another for the scientific community that required an accurate rendering of objects within our solar system and beyond. When these artistic paths eventually coalesced, it created more than just a new art form, it inspired and gave birth to a generation of writers, artists, engineers, astronomers, scientists and everyday citizen whom came to believe in the very real possibilities of space travel. 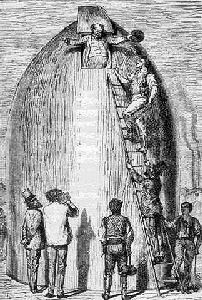 It began in earnest in 1865, with Verne's From the Earth to the Moon, and was created by those who prided themselves in its accurate portrayal of known facts, rendered by both professional and amateurs alike. It then travelled that path common to art and its inherent creativity by developing its own unique and slightly colored style seen often in the pulp media of the period, roughly between 1930-1960 (some might recognize its definitive form in the terms "Space Race" and "Star Trek Generation"). 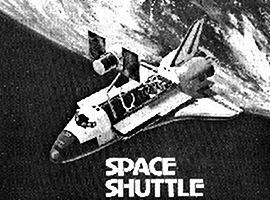 It thereafter saw a widespread resurgence and return to the ideals that it required science based accuracy, remaining in this creative form through the successful completion of the Apollo moon landing and Skylab missions. Seen above is the April 1939 issue of Astounding Science Fiction magazine. The cover's artwork was by Charles Schneeman, an artist who's fine work appeared in the decade prior to Bonestell's. He strove for accuracy and realistic detail in his astronomical paintings, preparing this particular cover after having "spent many hours of research in libraries and conferences". The cover's novellete 'Worlds Don't Care' was written by Nat Schachner. Source: Dreams of Tomorrow  Science Fiction Art from Yesterday by William Max Miller. These were the images that began a new era of artistic interpetation and illustration of space and the universe, an art based on the science at hand rather than conjecture or vague, groundless speculation. 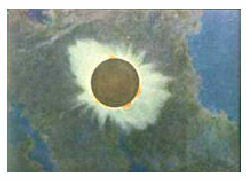 It pictured the substance of the cosmos via a more scientifically realistic format than had been done previously, eventually bringing together the world of astronomical science and stellar art and in turn, lending itself to the visulaization of our universe in a most gifted, prophetic and meaningful manner. Though known as the individual responsible for the introduction of the gypsy moth into the United States, Étienne Léopold Trouvelot was an extremely accomplished stellar artist with approximately 7,000 quality astronomical illustrations to his credit. 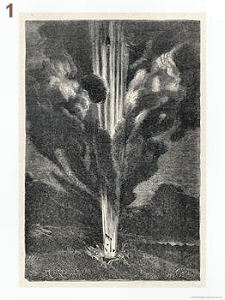 He arrived in Massachusetts in 1855 and at that time, was primarily a portrait artist when, in 1870, having witnessed several auroras, decided to turn his artistic skills towards the world of astronomy. 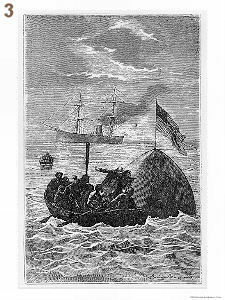 His prolific style eventually caught the eye of Joseph Winlock, director of the Harvard College Observatory, who, seeing the quality of his illustrations, invited Trouvelot to join the observatory staff in 1872. The result of his efforts there have been preserved and can be viewed at the Harvard University Library in their Annals of the Astronomical Observatory of Harvard College, Volume VIII wherein exist his plate illustrations of observations, a remarkable and lasting tribute to his talents. 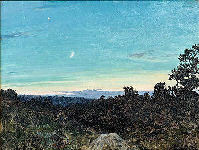 "Many times, while making the painting [moonscape], I longed to be at the spot and see how it really looked. But when informed [by an astronomer] that the temperature there would be about 70º below zero, I was content to abandon that desire." 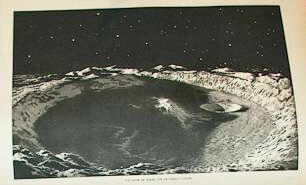 "Lucien Rudaux's 19th-century vision of the Moon remains accurate because it sticks to geology rather than wishful thinking." "Done with the help and advice of the Hayden Planetarium astronomers...it represents as great a degree of accuracy as is possible to our present knowledge...The stars shown are about the number that would actually be seen...The coloration of Saturn is as near to absolute accuracy as a dozen authorities on the subject make possible."  Dreams of Tomorrow: Science Fiction Art from Yesterday by William Max Miller, M.A. quoting editor of Astounding Science Fiction John Wood Campbell Jr.
Charles Schneeman was born in Staten Island, New York on November 24, 1912. In 1922 his family moved to Brooklyn, where he attended Erasmus Hall High School from 1924 to 1928. He received a diploma from New York City's Pratt Institute in 1933. Further art training followed at Grand Central School of Art with Harvey Dunn and George Bridgeman's figure drawing classes. 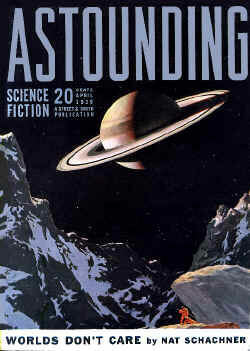 At left is Schneeman's famous painting of Saturn for the cover of Astounding Science Fiction as it would appear if viewed from its third-largest moon Iapetus (Japetus). 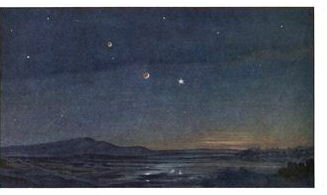 John Campbell, editor of Astounding, explained that Japetus was chosen because it is the only moon of Saturn from which the rings would be visible as they appear in the painting.